Men and women will always continue to search for better ways to differentiate themselves. 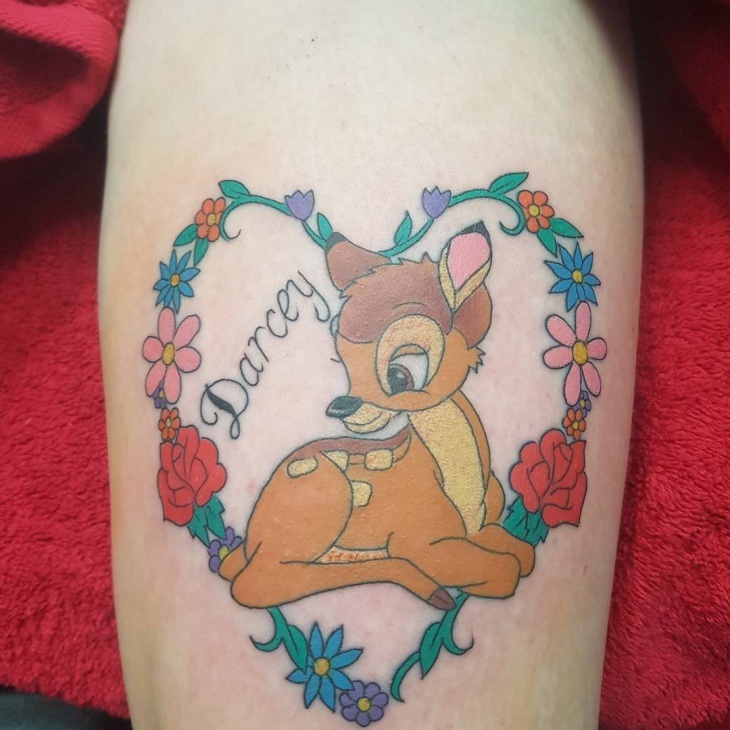 Well, if innocent, vulnerable and friendly are some of the words you use to describe yourself then a Bambi tattoo is for you. This cute deer first gained international recognition through the Walt Disney Bambi movie. In Chinese culture, a deer tattoo design is a symbol of good fortune and abundance. 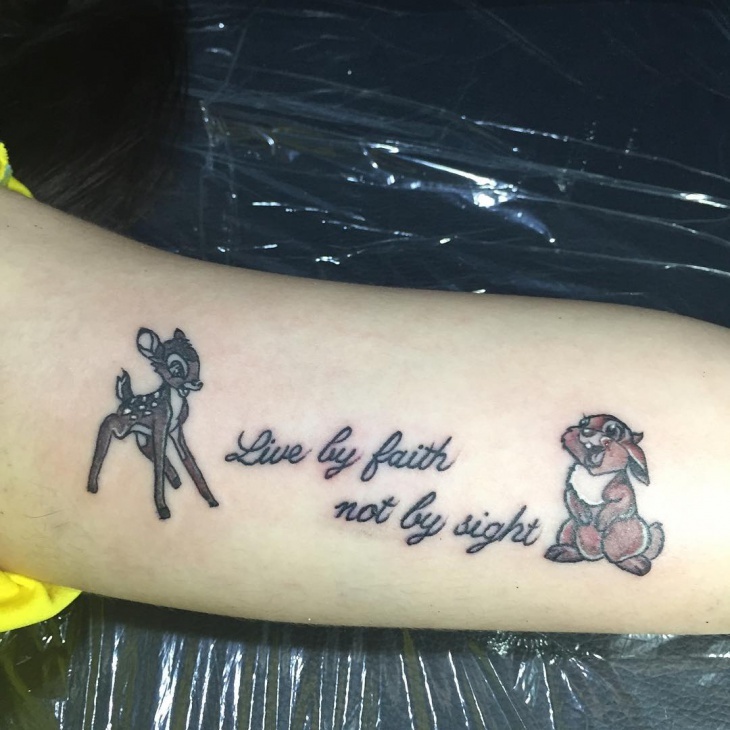 So whether you want to portray your mood or status, there’s a Bambi tattoo that you’ll love. 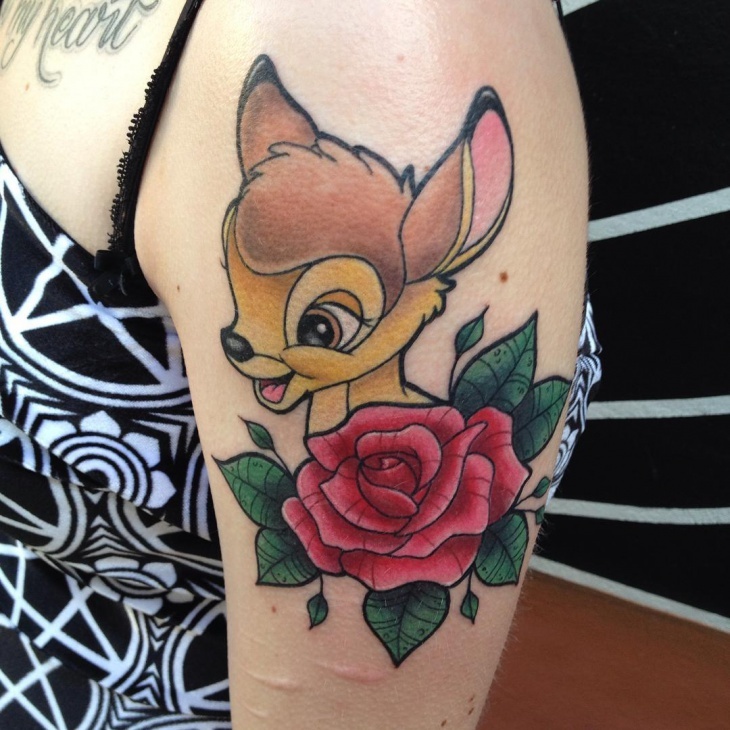 This colorful Bambi tattoo is feminine because it incorporates both the deer and a red rose flower. You can use the face of Bambi to depict your mood whereby a smiling deer shows your happy or sad face for a gloomy mood. This beautiful forest theme tattoo is ideal for ladies or girls. Add flowers, birds, trees or even an owl tattoo design to give your design an authentic look. The colors you want on the tattoo will depend entirely on you. 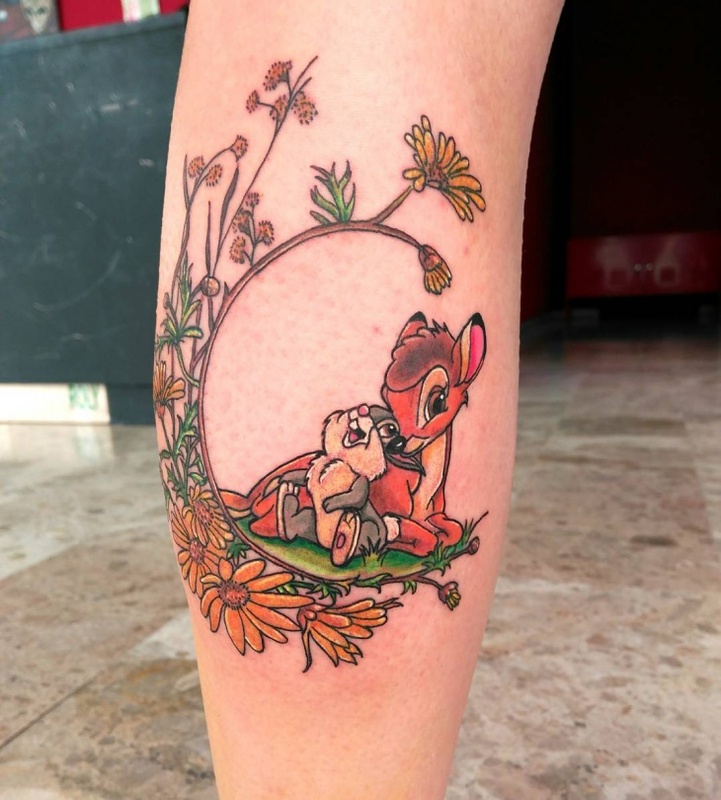 A fawn and Bambi tattoo that includes all the famous characters in the Bambi movie is what any girl who loves fantasy will want to have. 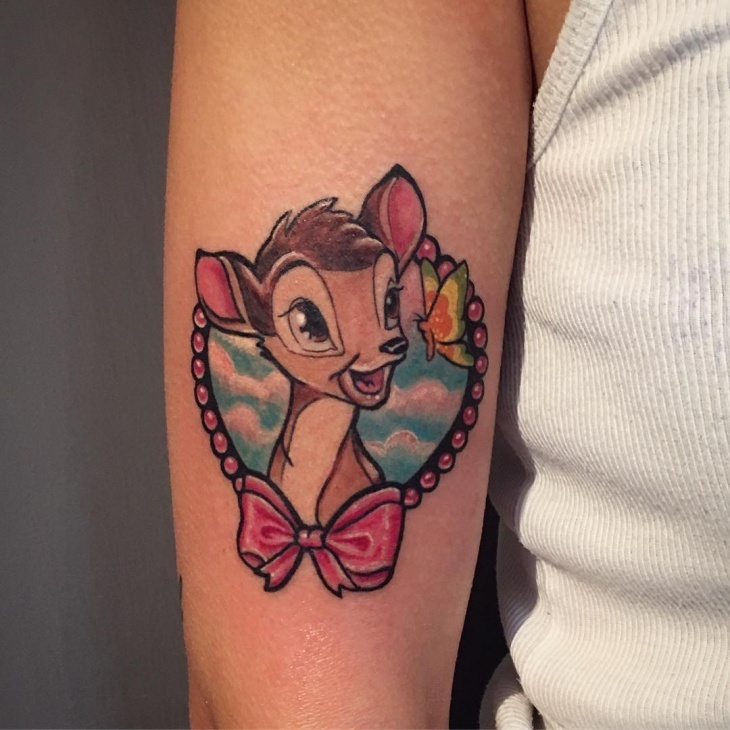 The trick to making this Bambi tattoo stand out is to opt for vibrant colors on the animated characters. 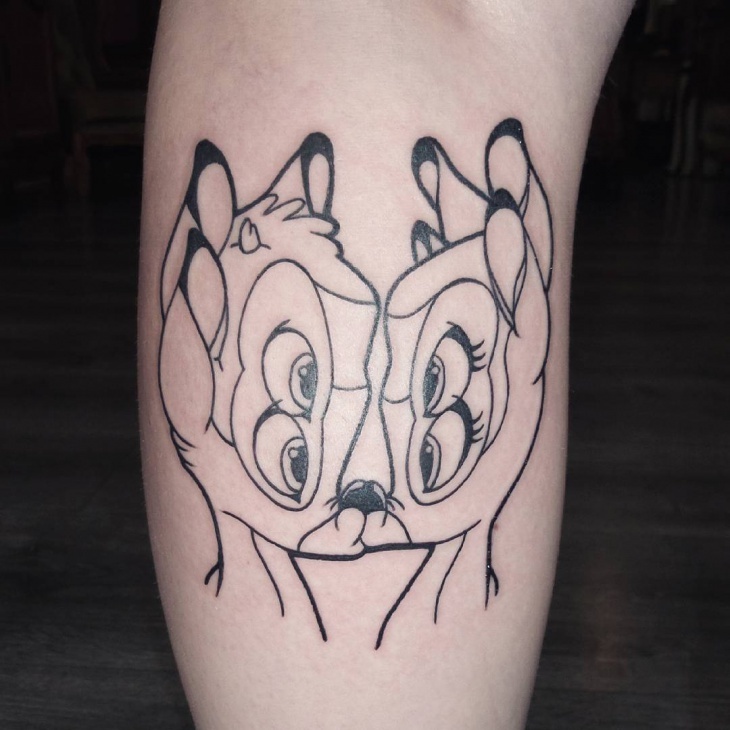 This black Bambi outline tattoo is perfect for men who want to portray their love for the classic Disney movie. Adding a cute butterfly shows a fun personality that will surely give you compliments and admiration from other tattoo lovers. Most ladies prefer girly tattoos that portray their feminine nature, and this colorful bamboo is for them. 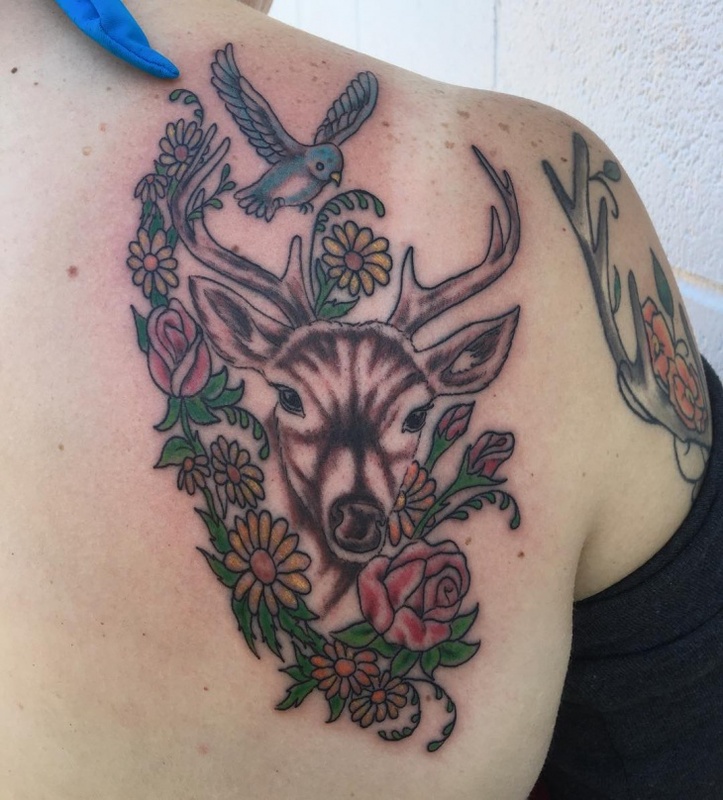 While the color used on the Bambi tattoo stands on its own, adding an interlocking tattoo design around the deer gives it a chic look. 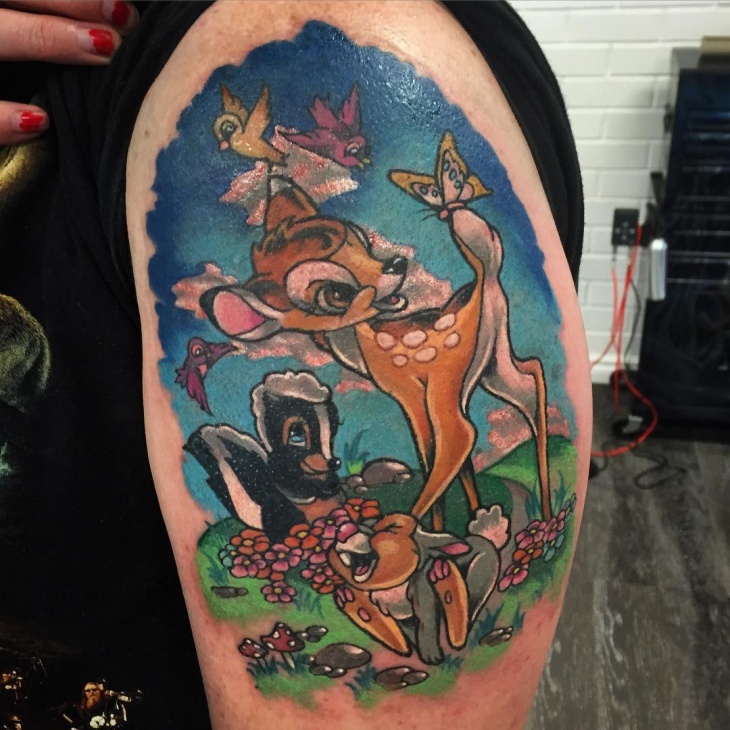 This dazzling Bambi tattoo is a great symbol of love, friendship or a strong bond. 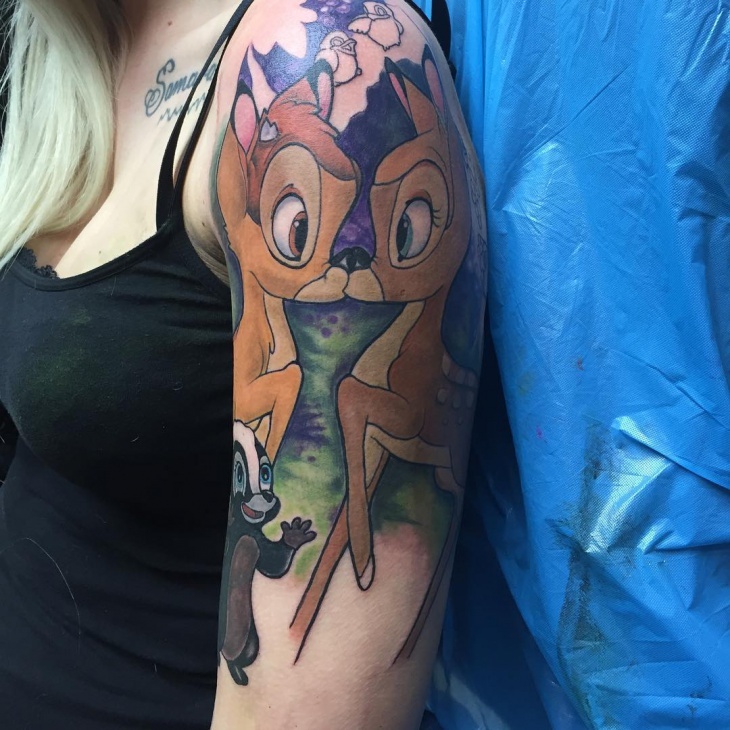 Suitable for both male and female, the design is for anyone who loves Disney characters and half sleeve tattoo designs. 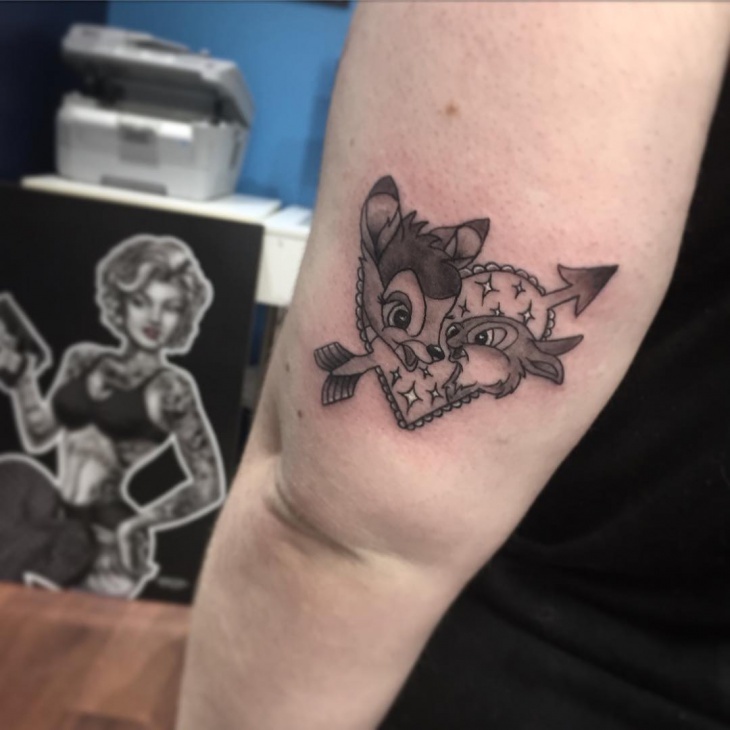 This small Bambi design is for those getting a tattoo for the first time. Women who prefer a less conspicuous tattoo design can also opt for this ink art to portray their love or deeper symbolic meaning of a deer. 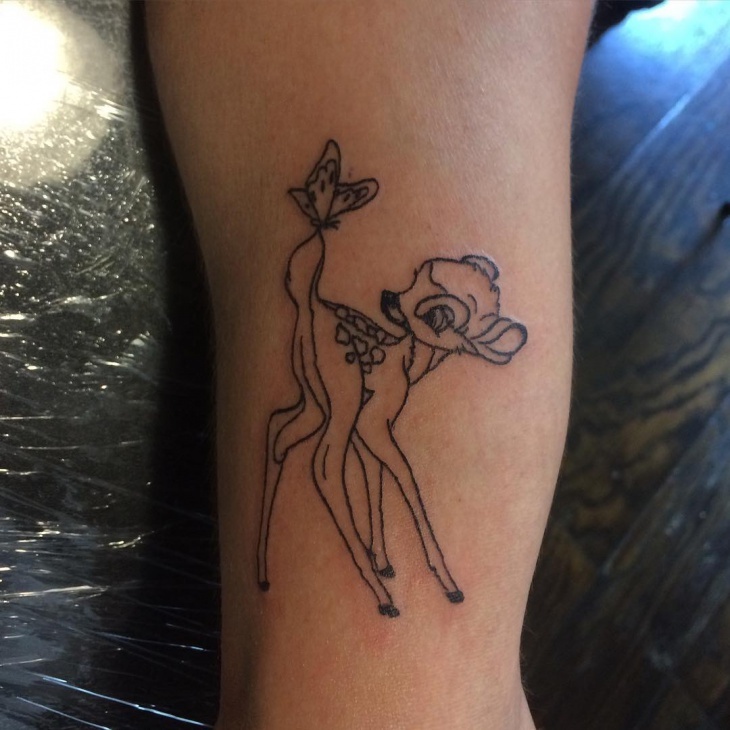 A traditional Bambi tattoo involves drawing the deer. 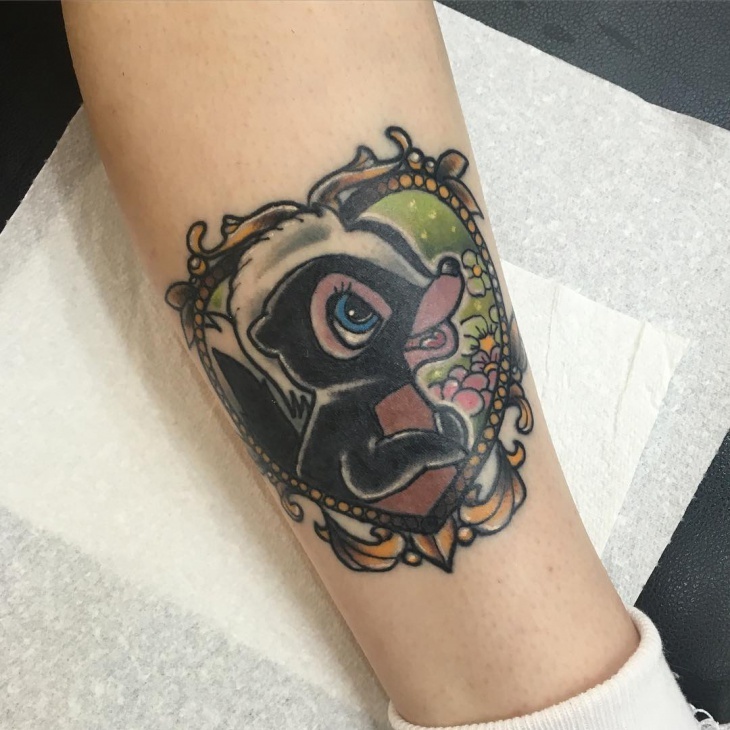 However, individuals can also show their creativity by opting for a design of the skunk who also contributed to making the Bambi movie a success. This tattoo is suitable for any person who wants to depict the innocent child-like appearance. 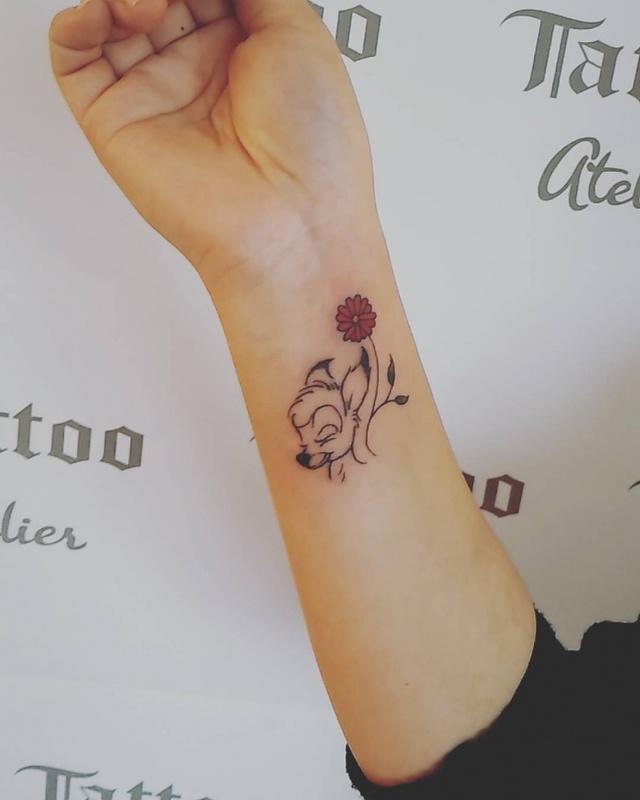 While the black ink on the Bambi tattoo makes the design cool, adding a cute little flower adds cuteness to the whole ink art. Adding a rose is the easiest way to make your tattoo stand out. 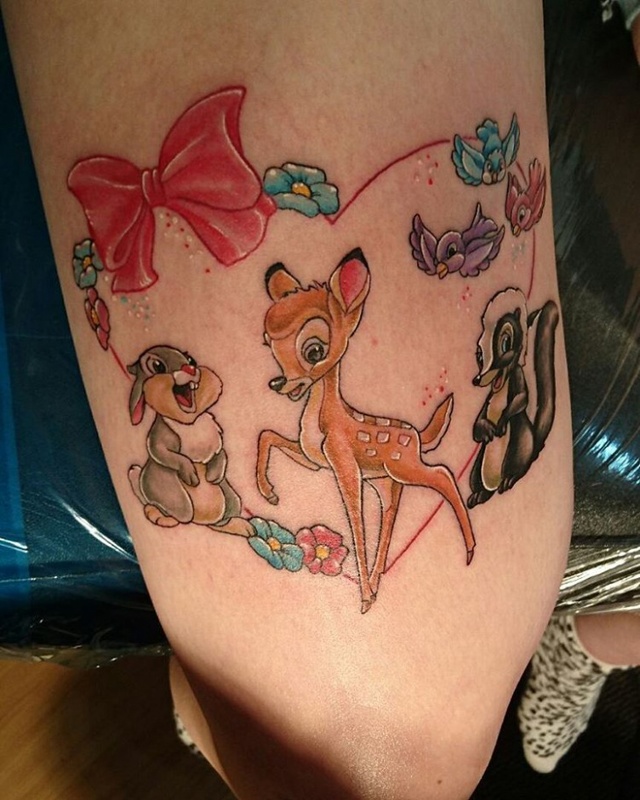 When it comes to a Bambi tattoo, stick to the standard brown, yellow and add pink colors inside the deer’s ears. This design is for any lady who loves bold colors. 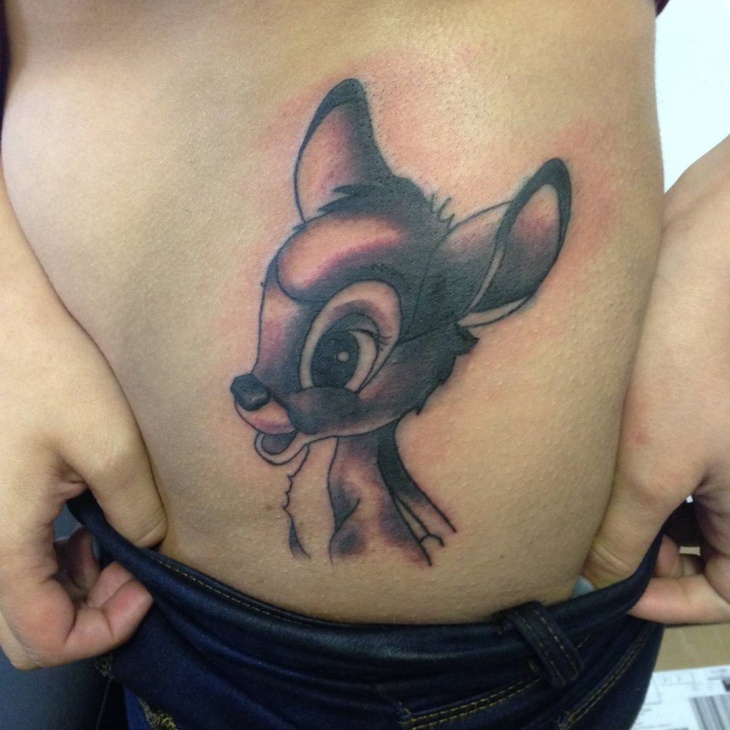 Bambi tattoos have a wide variety of symbolic meaning. For Christians, a deer is a symbol of devotion and purity while for the Native Americans and in Celtic culture, the animal is a representation of independence and pride. 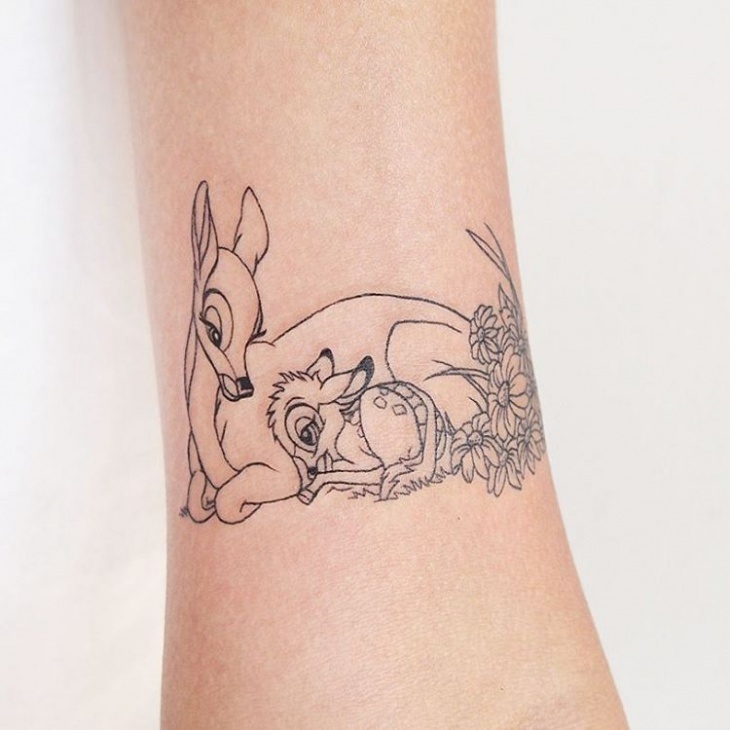 Other meanings of a Bambi tattoo include family, nobility, and love. 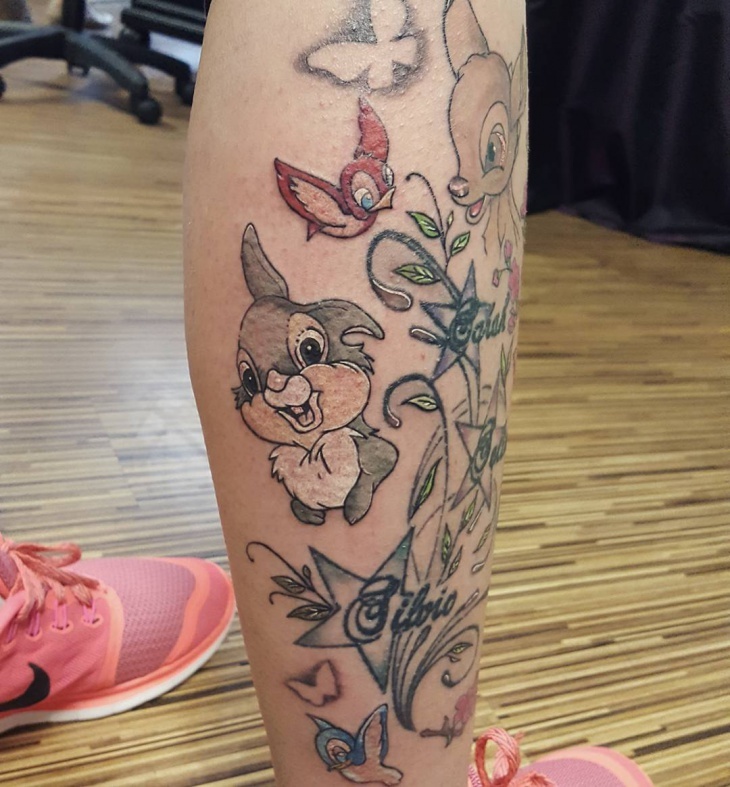 From small to large size, colorful or simple; there are many ways to vary a Bambi tattoo design. 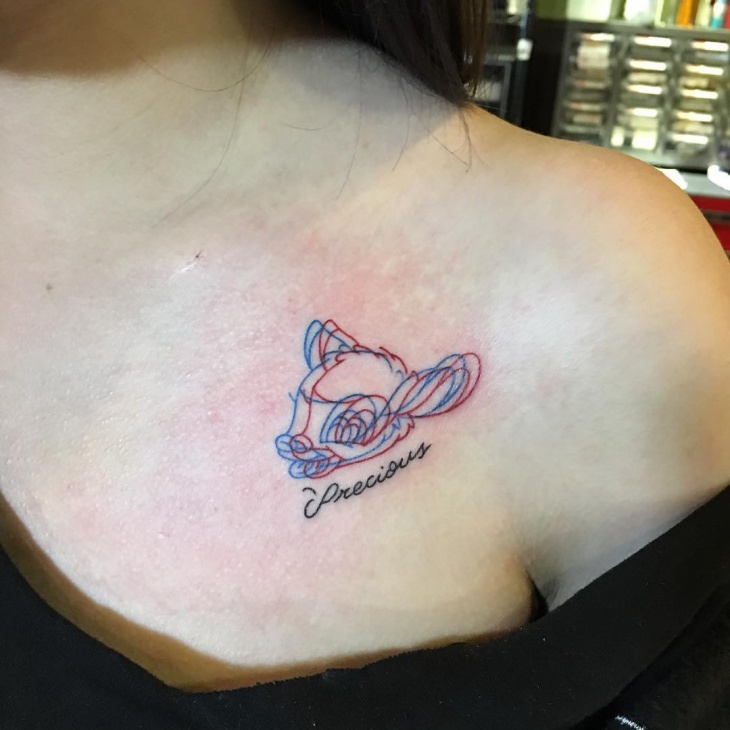 However, the design that you choose should embody your personality so that the tattoo becomes a way to show your unique traits. 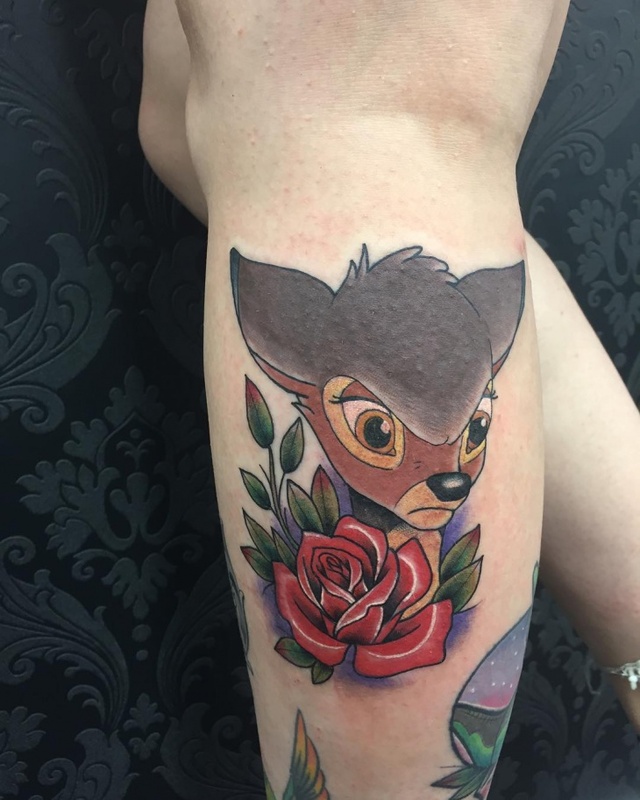 A Bambi tattoo is a form of self-expression with different meanings that are unique to an individual. While most people will go for the cute face of the deer, men can opt for the horns to create a unique deer antler tattoo design. 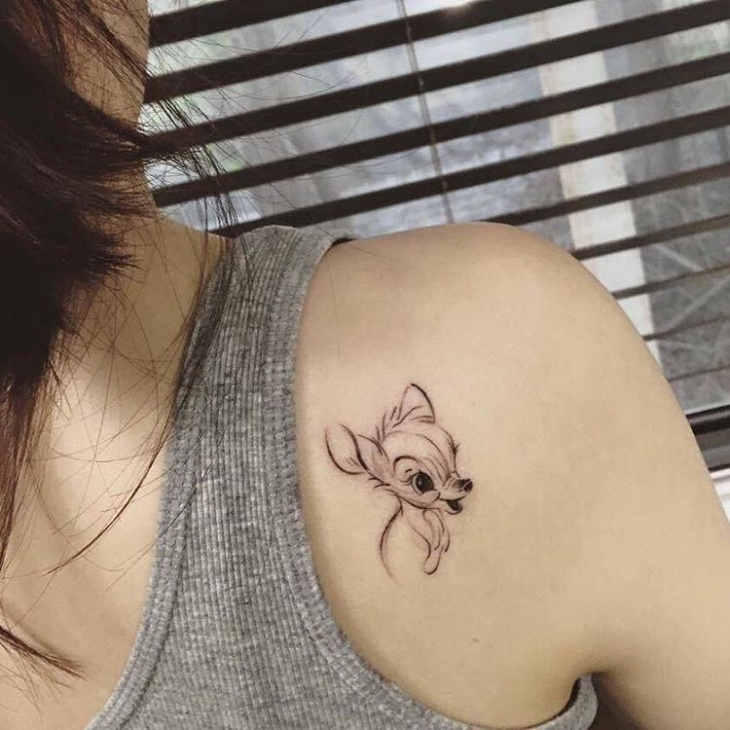 With symbolic meaning such as nobility, these Bambi tattoos are adorable.